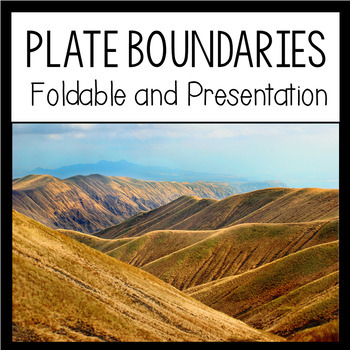 This resource is all about plate boundaries! 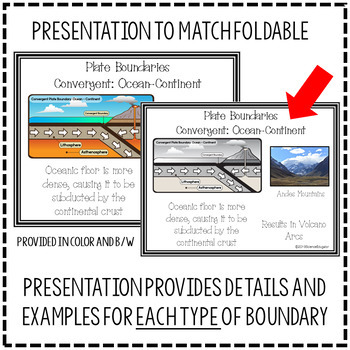 Included is a foldable with excellent diagrams and a presentation/posters to match the foldable as students complete and or follow along. 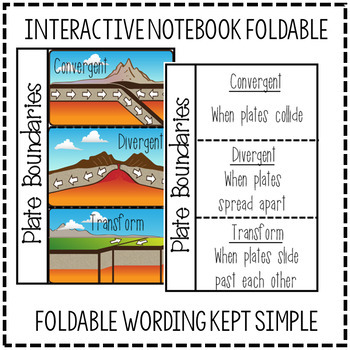 Plate boundaries are kept general on the foldable and then the presentation describes each specific kind. This presentation is perfect to use as posters around your classroom. 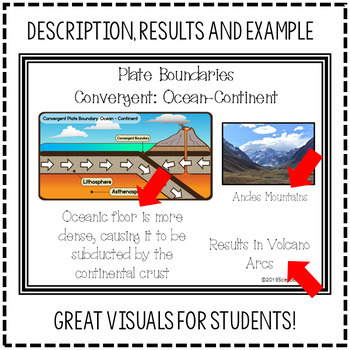 Each poster describes the boundaries, identifies the landforms it creates and gives a real world example with picture. Foldable and posters provided in black and white. Check out my other great products!